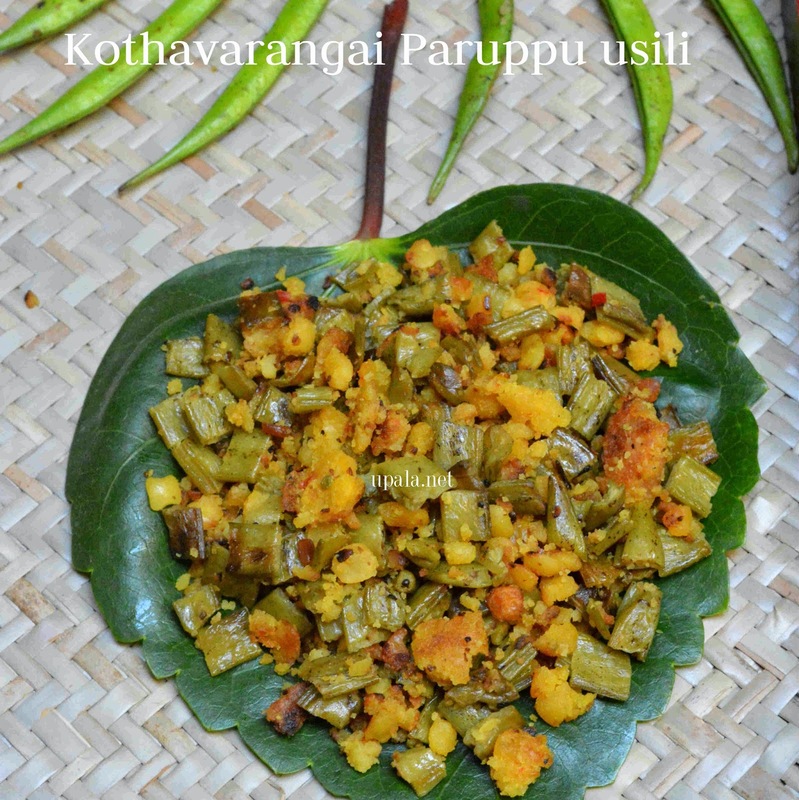 Kothavarangai Paruppu usili/ Cluster beans paruppu usili is a tasty Stir fry prepared with cluster beans and pulses. 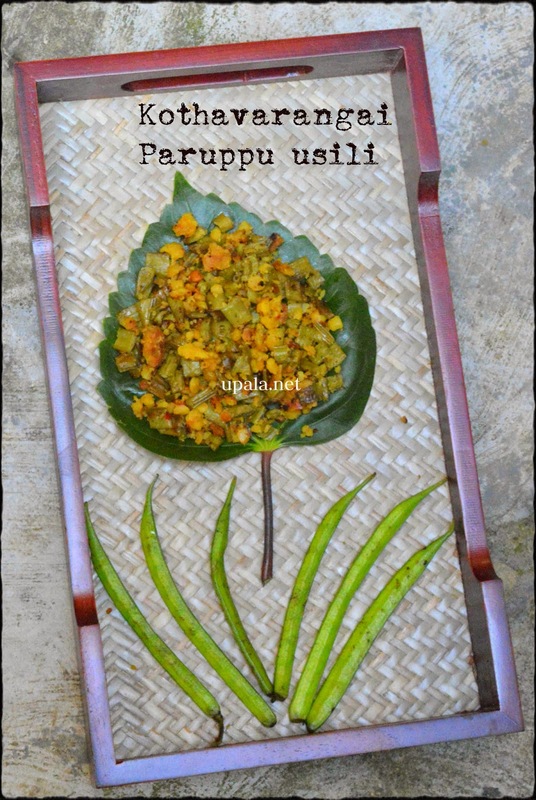 I have separate post for preparing Paruppu usili alone, click here to get the detailed version. 1) Pressure cook kathavarangai for 3 whistles. I usually keep this chopped kothavarangai in a separate bowl (without water) above my rice and cook it together in same cooker. Alternatively add water to kothavarangai and boil it directly. Any method that you choose, it will leave some water drain it from kothavarangai. No need to waste this drained water, you can add this to Rasam or Sambar or koottu. 2) Clean and soak toor dal and Channa dal together for 1/2 hour in warm water. Drain the water completely and grind coarsely with red chilli, Asafoetida, turmeric powder and salt. 3) Steam the grounded dal. Crumble the paruppu usili with hands or alternatively give one pulse in mixer. paruppu usili and fry for few mins. Transfer to a bowl to cool down. 5) Alternatively, you can add more oil and directly fry the ground paste. Click here to get the detailed method. 6) Heat 2 tsp oil in the same kadai and crackle 1/2 tsp mustard seeds then add Urad dal. Fry till light brown. 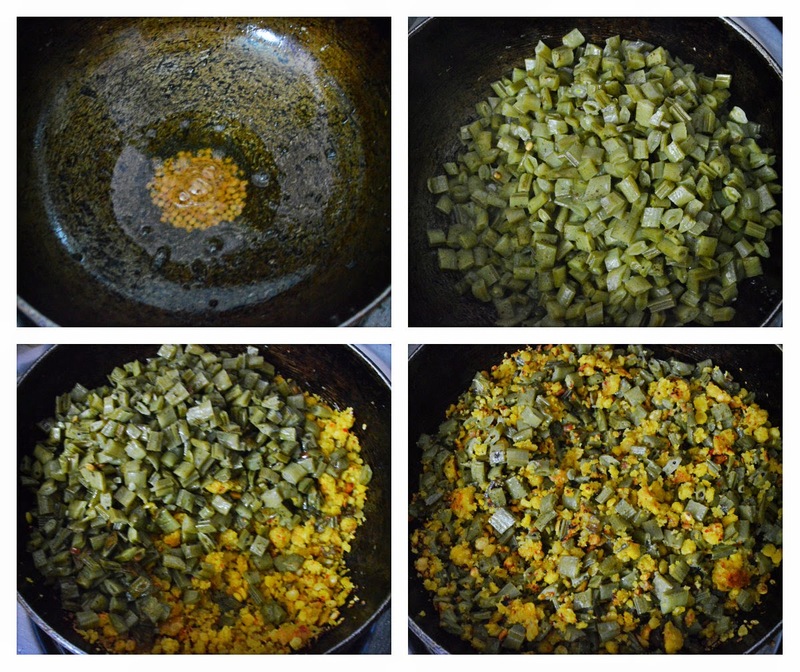 7) Then add cooked cluster beans and salt, fry for few minutes. Add Paruppu usili and mix well. Let it stay for 10 more minutes in low flame then switch off the flame. Tasty Kothavarangai paruppu usili is ready.